The tool most press photographers use, Photo Mechanic, has just got seriously better. If you are a press photographer, or really if you just like to be very organised, Photo Mechanic is the software that you use to get your images from the camera into your computer. There were good reasons to use the old version. 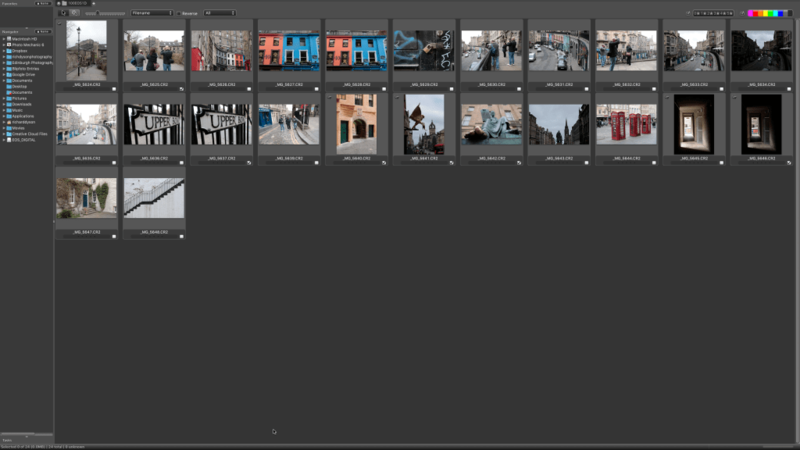 The ability to import and view your photographs much quicker than other programs such as Lightroom. The ability to add IPTC data saying who owns the picture, add captions and add keywords. 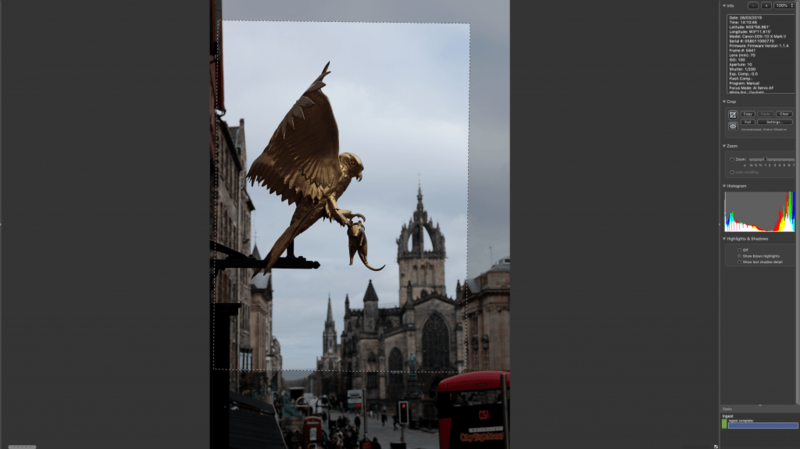 The capability to quickly crop and straighten your photos. Just launched on the 25 March, Photo Mechanic has a new version that is going to make all those things even better! One of the downsides of Photo Mechanic v5 was that when you put your memory card into the computer, you had to import (or ingest) everything on the card. It was possible to tell the program not import photos that had already been brought in. However, if you had done two jobs in quick succession, both would be brought in and the IPTC data would have been wrong on one of the two shoots. With the release of Photo Mechanic v6, this has all changed. There’s now a new feature been added which allows you to tell Photo Mechanic which images to ingest. To use this feature there is a slight change to the workflow process. 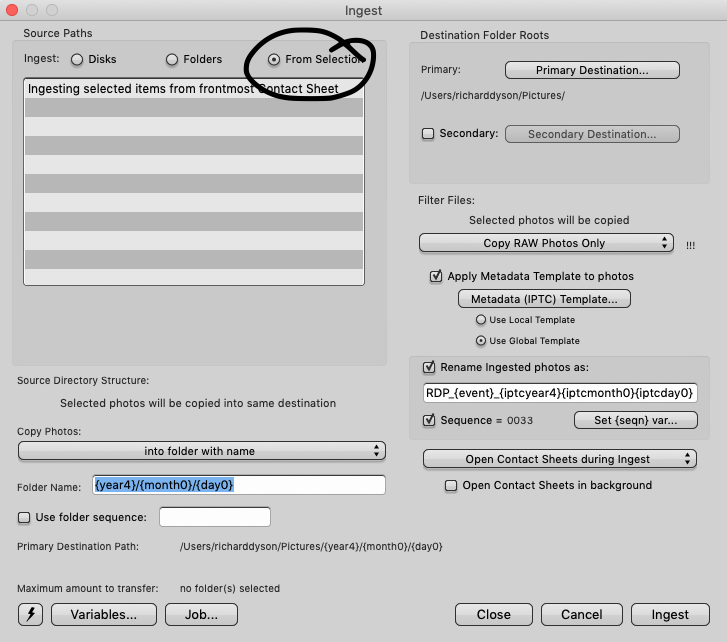 Instead of using the Ingest option from the File menu use the option Open Contact Sheet in the File menu instead when you have inserted the card. You can now select the images you want to ingest by selecting the memory card and opening it as a contact sheet. Once you have selected the images required to ingest you can then take the option Ingest from the File menu (or simply press cmd & G). This will open the Ingest dialog box. You can now select the brand new From Selection option highlighted below. The ingest process now works only for the images selected. I have always been impressed by the speed that I can import and view the photographs using v5 of Photo Mechanic. The sales blurb for the new version promises further improvements of up to two to three times. 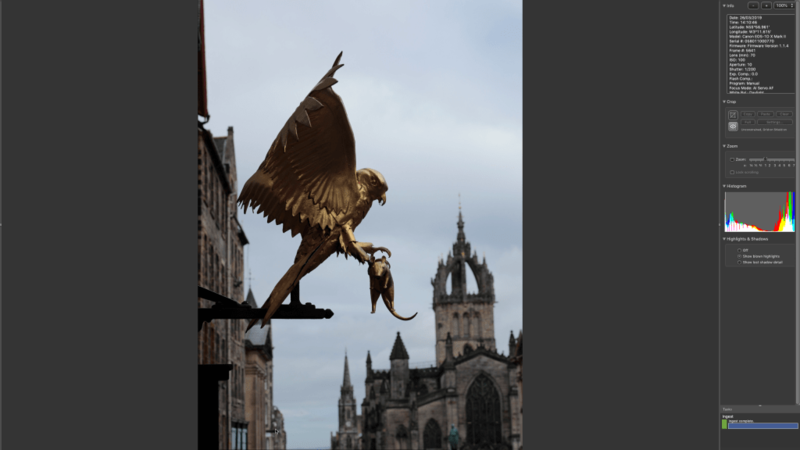 Regular readers of the blog will recall adding IPTC data and keywords to photographs using Lightroom. 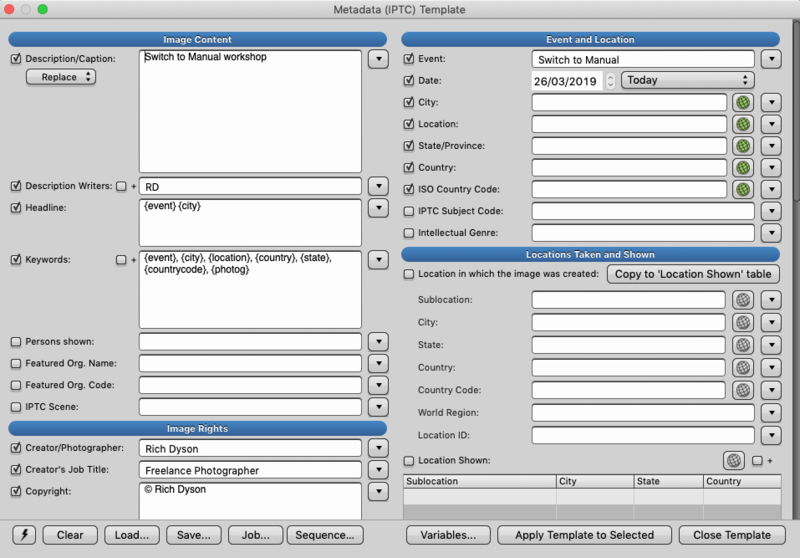 Photo Mechanic has a much more powerful process for creating IPTC data where it’s possible to add variables that will infill into the templates. In the past, you could add the location, city, country etc. by typing them into the IPTC template. I would then use the variables to add these details as keywords automatically to the file. 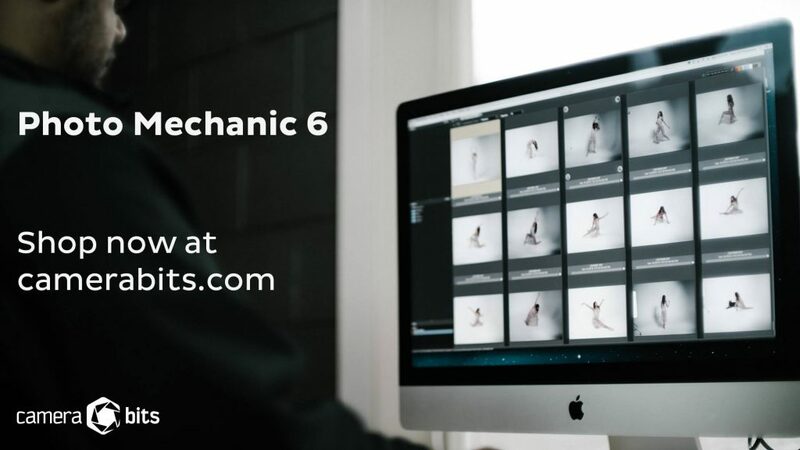 With v6 of Photo Mechanic you can now use the GPS data from your camera to automatically add, the location, City and Country automatically. A little health warning on this feature. The first time I used it, I wasn’t in a place where I had a wi-fi connection. Photo Mechanic collects the GPS coordinates and then sends them to a server before returning the location back. As a result, if you don’t have a wi-fi connection when ingesting then you won’t get location data added. Another great benefit of Photo Mechanic is that you could define the crop of an image before importing it into Lightroom (or whatever tool you prefer to use) to edit the image. It’s always been possible to crop to any dimension and also straighten images that aren’t quite straight. However, it was difficult to see how the end picture would look as the crop was shown by a dotted line inside the image. Version 6 has added a simple new feature that gives you confidence that the crop works. Once you have defined the crop, simply press the P button and you will get a full-screen preview of the cropped image. If you haven’t used Photo Mechanic before, it will cost $139 to buy as a one-off. Existing users of version 5 can upgrade for $89 (although, if you bought version 5 in the last few months you’ll get a free upgrade). There is a 30-day free trial so you can try out these features to see if they are going to be worthwhile for you. If you have enjoyed this blog please sign up to our monthly newsletter, where you can catch up on past blogs, receive interesting photography news and access special members-only content.